This week, we have published further details about our investment approach for 2018-22. For the first time, libraries will be eligible to apply for all of our funding programmes, wherever the proposals meet our published aims. This means that, in addition to being eligible for our open access Grants for the Arts (GftA) fund, libraries will now be able to apply for longer term investment as National Portfolio Organisations (NPOs) for museums and libraries activity, and will be eligible for all strategic funds. Local authorities are responsible for delivering library services. 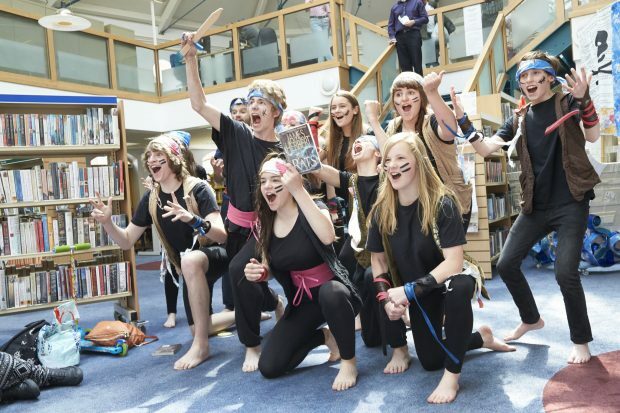 Since the Arts Council became the national development agency for libraries in England in 2012, we have seen libraries deliver an array of highly regarded work as a result of our investment. Libraries already deliver work as the result of Arts Council investment. Examples of this work include the Society of Chief Librarians’ Universal Offers, the Reading Agency’s Summer Reading Challenge, the Book Trust’s Bookstart, and the British Library’s Enterprising Libraries. We have brought free access to WiFi to nearly every library in England, and commissioned research demonstrating the economic value of public libraries. We believe this integrated approach will help to stimulate different partnerships, across artforms, to create new work for even more people. It will bring together the books and other collections libraries hold, and their underlying role as places of learning, creativity and knowledge – creating cultural hubs in the widest sense. We know that libraries reach more people and places than arts organisations and museums. For some who don’t see the arts or a museum as for them, libraries are a trusted space which is free to enter and open to all. These new opportunities for investment will contribute towards the Arts Council’s aim of achieving great art and culture for everyone. So while we support the overall development of libraries (alongside museums and the arts), we invest in the arts and culture. If you are interested in applying, you should look at each of our three funding streams and decide which is best for you. If you can only imagine delivering specific projects, then GftA is probably best for you. Our strategic funds may offer the best way to explore other priorities involving digital, touring work or in reaching new audiences. Anyone interested in becoming a NPO is likely to already have a track record of delivering high quality arts and culture, and be ready to deliver programmes of activity that meet our expectations across four years. The strongest applications will be those which most closely achieve our goals. So the opportunities are considerable, but they are matched by high expectations. Other potential NPOs may think about including work with libraries in their own applications, and this could provide an alternative way to participate. We would encourage you to explore this opportunity, either responding to an approach or by initiating the conversation yourselves. So how can your library get a slice of this action? The detailed plans and guidance for the NPO application process were published on 4 October 2016 and briefings are being held for those interested in applying across the country during October. The application process begins on 26 October 2016 and closes on 1 February 2017. Any organisation applying to join for the first time must have a mandatory conversation with one of our Relationship Managers - once you have read the guidance carefully and thought about what you want to achieve. Decisions will be announced by the beginning of July 2017, which will then allow time to negotiate the funding agreement before activity starts in April 2018. I hope to see libraries represented in the National Portfolio for the first time, with a closer and even more successful relationship between libraries and the Arts Council.